How wonderful that the old trees were saved when your houses were built. It was the same with us, the builder wanted to cut down the trees in the woodland for access, but the village put a Preservation Order on them all, thank goodness! I’m glad the colour appeared in your trees, even though it took them some time to change and I hope that the fires are now well and truly out. Glad your old trees could be saved also Pauline. It makes such a difference in preserving the character of an area. Sadly I think the fires are only about 40% contained. Thank goodness for the many firefighters coming in to assist. 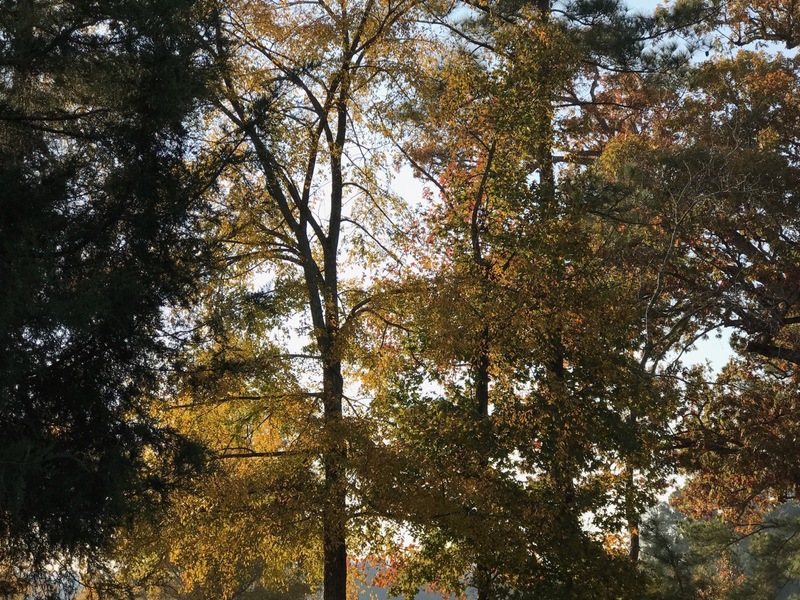 The mature trees around you are beautiful; it is so lucky for you and the other residents that they were retained and not all cut down to create more space. It must have been very worrying to smell the smoke so strongly, a fire, out of control, is one of the most frightening things. Your last image is glorious with the light shining through the falling foliage creating a wonderful texture. Thanks for joining GBFD for November Susie. Thanks Christina. 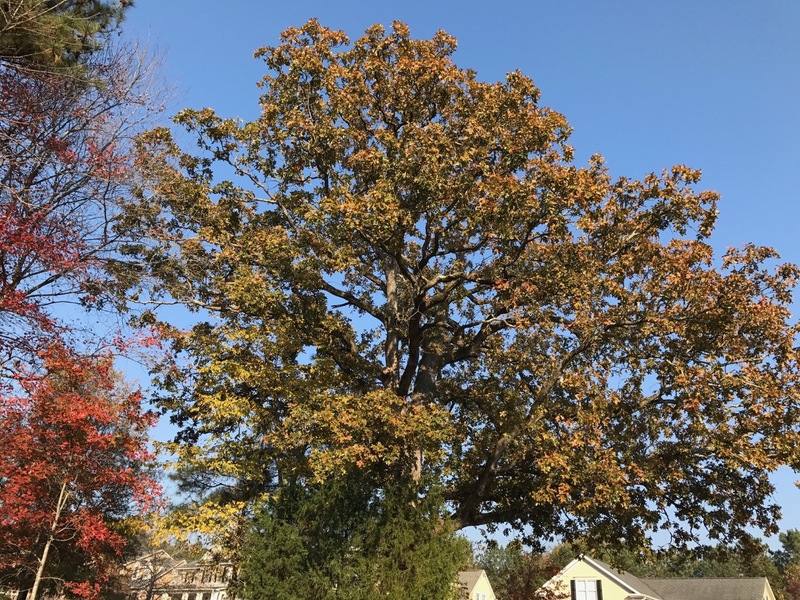 Our neighborhood isn’t particularly forward thinking in terms of creating wildlife habitat, using native plants, or avoiding lots of chemicals on lawns, but people do seem to appreciate trees. I can’t recall wildfires in NC, especially this time of year. Stay safe. Love that Sweetgum. Unfortunately, the fires are all too common, but this year seem especially bad. Redeeming quality of Sweetgum is beautiful fall color. Scary, the fires. They do a lot of controlled burns here and it is terrifying to watch. 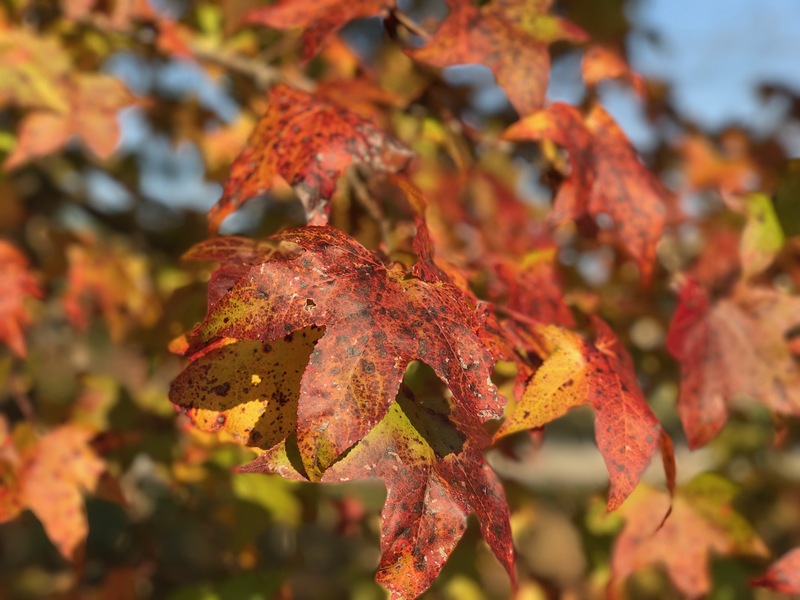 Have you noticed the English and Australians love their Liquidambar and have cultivars? 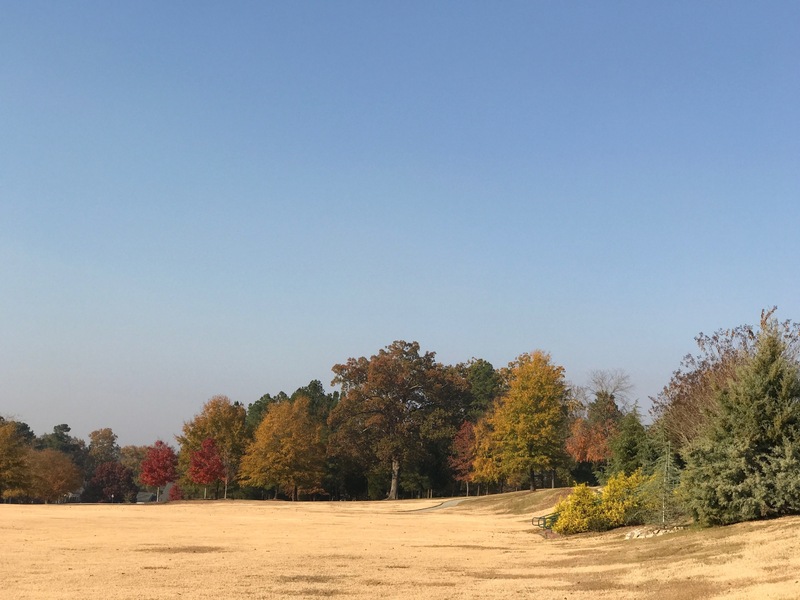 Glad to see you are having some great color this year… but sorry to hear about the ongoing wildfires. It’s about time for a good rain to come along. Trees can make such a difference to residential areas – I love seeing huge old chestnuts or red beech here. Lovely to see the mature old trees near your home Susie. I had no idea that there were wildfires in your area too. Hope they get some rain to help put them out. 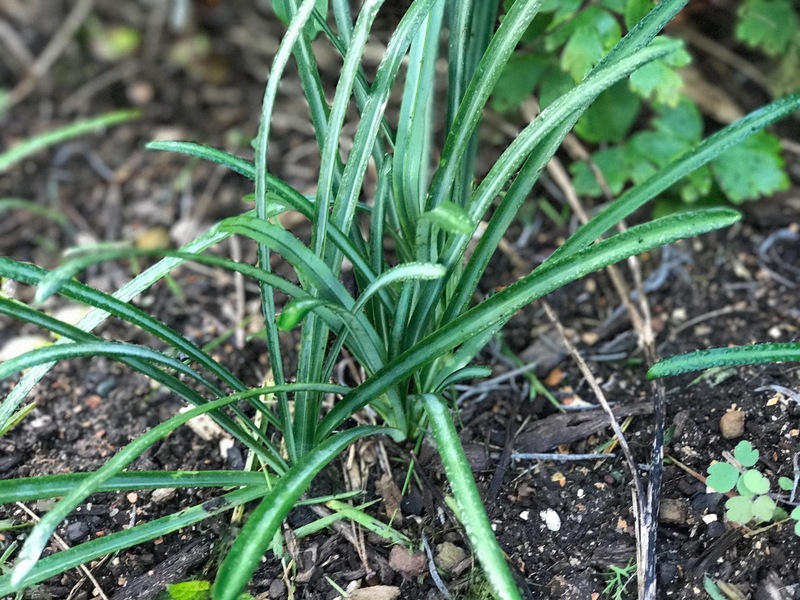 My Lycoris bulbs haven’t produced foliage, much less flowers – maybe they don’t like the dry conditions we’ve both been living with. I’m sorry to hear that the fires are still a factor out your way but I’m glad your air has cleared. I hope you enjoy a happy Thanksgiving, Susie! Lucky to have such lovely open areas nearby. I hope the fire is contained by now. It is amazing how quickly the seasons can shift, isn’t it?